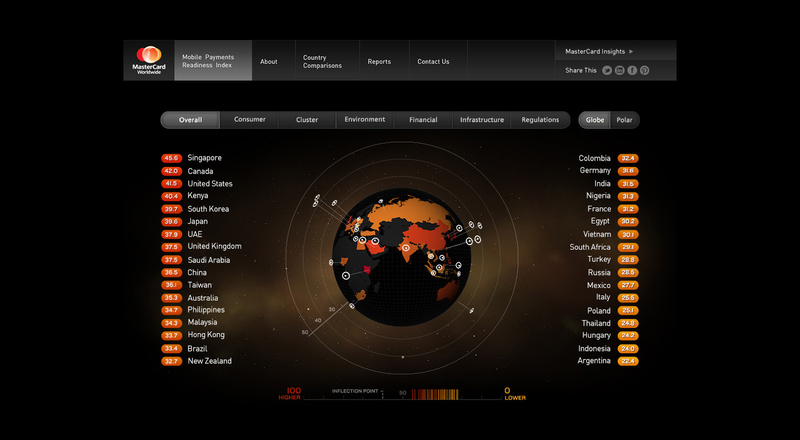 Collaborating with world leader in FinTech to visualize mobile payments around the globe. 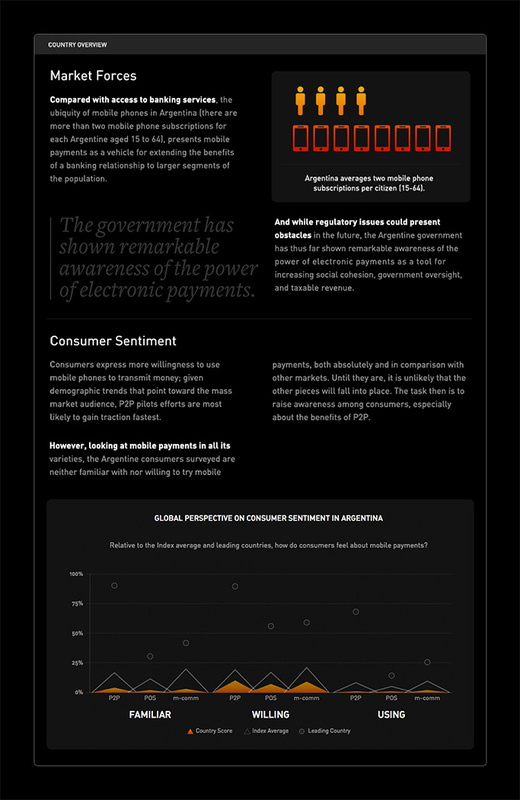 The challenge from the Mastercard Insights team: “We’ve developed an index of the top 34 countries best positioned to make mobile payments a reality. 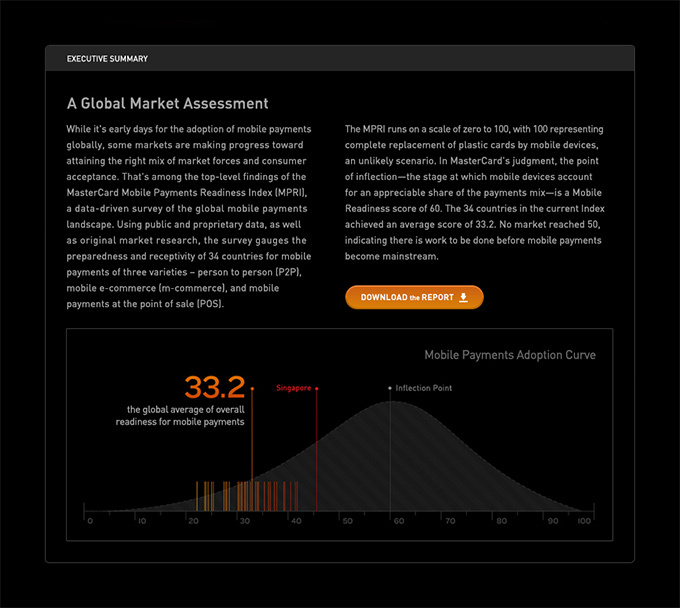 What can you do with this?” With a spreadsheet as our starting point, BNO collaborated with Mastercard to create the Mobile Payments Readiness Index (MPRI). 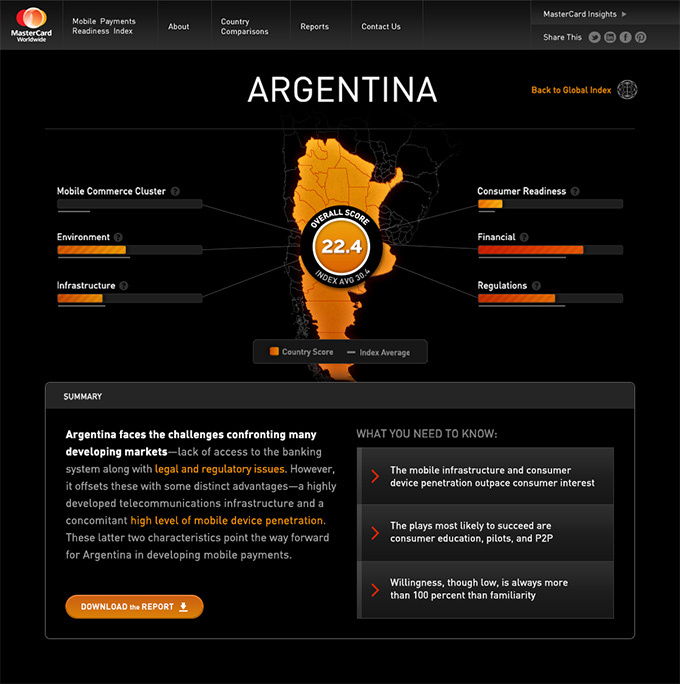 Bought to life through a rich digital experience with cutting edge data visualization, the index featured downloadable white papers, ability to compare countries on the readiness scale, social sharing and integration with Mastercard’s lead management system. 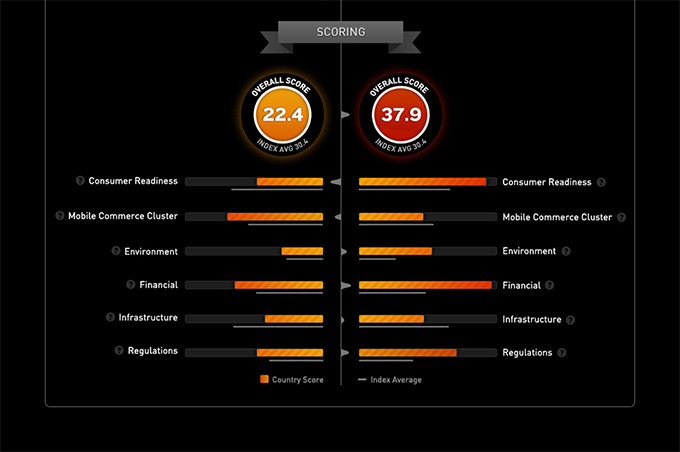 Advanced analytics tagging enabled a robust understanding of content consumption and customer engagement.